Harvest 1999 / Sugar of the Century, Bourgogne, Côte d'Or, October 1999. Vogel & Fitzpatrick GbR Black Ink 1999. When harvesting began in the second half of September the vineyards had gone through plenty of sunshine and positive weather permitting. Almost everywhere the grapes were extraordinarily healthy - and in large quantity. At the end of September to October there were some rainy days. Many vinters had already brought in their harvest completely and could now be glad about the extremely good vintage. Those who harvested later to get even more concentration had to cope with the rain, but regarded it having no negative effect on the grapes, because their skins were thick enough, except lowering the sugar a bit. Those vinters who harvested before the rainy days said to have extraordinarily high sugar percentage and entirely matured grapes which showed no signs of rot. At the domain d'Arlot we were told that one harvest worker who did his job for 31 years has remarked that he had never ever been through such a perfect harvest. The high quality of the grapes goes along with a high yield. That makes this vintage something special - normally high quality interferes with quantity. Because of the high sugar concentration there was no or only very little chaptalization an the different domains. The natural amount of alcohol was entirely enough - also very untypical for Burgundy. Those who hadn't finished harvest during the rain hoped nevertheless for a good vintage (like Christophe Roumier, e.g., who told us it was too early to say something definite.). And those who brought in their harvest earlier expected a very good up to a extraordinary vintage. For a vintage of the century that some might expect (for example at Dubreuil-Fontaine where the brought in quality seemed to be extreme good) only the acidity is missing a bit. Though there is no lack on queerness in this vintage. 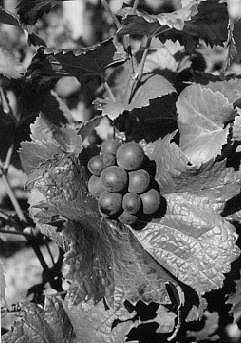 Chapuis' Chorey-lès Beaune blanc showed a higher natural sugar amount than his Corton-Charlemagne. It is far too early to make definite judgements. But one can expect full and fruity reds of a good concentration and also tannins. When the 99's are about to be bottled it is worth while have a good look around. And those who make a good choice will definitely have some brilliant wines for the next century. Large quantity will make buying easier, but it is likely to be that there is a greater request for wines showing the numbers of the last year in the century - so they might be sold out rather quickly.